Although the implantable cardioverter-defibrillator (ICD) is highly effective therapy for preventing sudden cardiac death, there is considerable uncertainty about its benefits and harms in older patients, especially in the presence of factors, other than old age, that increase the risk of death. To develop a prioritized research agenda for the Patient-Centered Outcomes Research Institute as informed by a diverse group of stakeholders on the use and outcomes of the ICD in older patients. The existing literature was reviewed to identify evidence gaps, which were then refined by engaged stakeholders. Using a forced-ranking prioritization method, the stakeholders ranked evidence gaps by importance. For the highest-ranked evidence gaps, relevant recent studies were identified using PubMed, and relevant ongoing trials were identified using ClinicalTrials.gov. The top 12 evidence gaps prioritized by stakeholders were related to the safety and effectiveness of ICDs in older patient subgroups not well represented in clinical trials, predictors of SCD, the impact of the ICD on quality of life, the use of shared decision-making, disparities in ICD use, risk stratification strategies, patient preferences, and distribution of modes of death in older patients. In this paper, we identify evidence gaps of high priority for current and future investigations of ICD therapy. Addressing these gaps will likely resolve many of the uncertainties surrounding the use and outcomes of the ICD in older patients seen in clinical practice. The online version of this article (doi: 10.1007/s11606-015-3411-6) contains supplementary material, which is available to authorized users. In a previous study, our group pooled patient-level data from five randomized clinical trials of primary prevention ICDs (n = 3,530).9 After adjusting for potential confounders, we found that although primary prevention ICDs conferred survival benefit to older patients, this survival advantage attenuated with advancing age. Moreover, the number of patients older than 75 years in that study was relatively small, and this may have affected the results.9 In an analysis of ICD effectiveness in the American Heart Association Get With the Guidelines-Heart Failure registry database, although receipt of ICD therapy was associated with a lower risk of 3-year mortality in patients 65 to 74 years of age, there was only a trend toward improved survival in patients 75 to 84 years of age (adjusted hazard ratio [HR] 0.65, 95 % CI 0.47-0.89 among patients 65 to 74 years; HR 0.80, 95 % CI 0.62-1.03 among patients 75–84 years).10 Therefore, data on the role of primary prevention ICDs in patients ≥ 75 years of age remain inconclusive. Despite the lack of definitive evidence on the outcomes of primary prevention ICDs in older patients, ICD implantation has become widespread in this population. In the National Cardiovascular Data Registry (NCDR), which captures the majority of primary prevention ICDs implanted in the United States, the mean age of patients receiving an ICD was 67 ± 13 years.11 One study of that dataset showed that more than 40 % of new ICDs are implanted in patients over 70 years of age.12 This underscores the importance of conducting studies aimed at examining the outcomes of primary prevention ICDs in patients ≥ 70–75 years of age. There are reasons that outcomes of primary prevention ICDs in the elderly may differ from those of their younger counterparts. Older patients who are eligible for a primary prevention ICD because of heart failure typically have other comorbidities that increase the likelihood of non-sudden cardiac death, an outcome not affected by the ICD. Additionally, older patients may be frail, and this, along with the coexistence of several comorbidities, may increase the risk of procedural complications and can have a major negative impact on their quality of life, raising concerns about therapies—like the ICD—that prolong life but do not necessarily improve its quality. Given the clinical importance of SCD, the lack of data regarding the optimal use of ICDs in older patients, the variety of patient-centered outcomes of interest, and areas of uncertainty, we sought to create a prioritized research agenda for the Patient-Centered Outcomes Research Institute (PCORI) that would incorporate different stakeholders’ perspectives. A central goal of PCORI is to engage stakeholders in its work in a meaningful way. Between September 2012 and January 2013, PCORI undertook a broad effort to solicit research topics from patients, caregivers, and researchers, and from results of previous prioritization processes by groups such as the Institute of Medicine, that could be considered for targeted funding. In 2014, PCORI’s Assessment of Prevention, Diagnosis, and Treatment Options program, together with the program’s external advisory panel, identified the use of ICDs in older patients as an important topic with unmet research needs. PCORI tasked the Duke University Evidence Synthesis Group (ESG) with the responsibility of working with various stakeholders to identify and prioritize future research opportunities on this topic that were most needed by patients and other decision-makers. Our approach to prioritizing future research and developing recommendations for targeted future funding by PCORI included several steps (Fig. 1), which broadly followed those developed as part of the Agency for Healthcare Research and Quality (AHRQ)’s Evidence-based Practice Center (EPC) Program13 for identifying and prioritizing future research needs. These steps involved appraisals of recent systematic reviews to preliminarily identify important evidence gaps, transformation of evidence gaps into research questions, engagement of stakeholders to identify additional gaps and prioritize research needs or questions, and scans of recently published and ongoing studies relevant to the stakeholders’ list of priorities. Given the needs of PCORI, we did not explore study design considerations during this project. We used an iterative process to identify evidence gaps for ICD use in older patients. First, we identified and appraised recent published systematic reviews, clinical practice guidelines, and future research needs documents in order to develop an initial list of evidence gaps. This list was neither exhaustive nor prioritized. Next, we organized these gaps according to broad themes and transformed them into research questions. These initial evidence gaps were distributed to our stakeholder group, who was tasked with reviewing and suggesting additional questions for prioritization. These suggestions were reviewed by our team, overlapping topics were combined, and we produced a global revised evidence gap list which represented unique gaps in evidence across the broad themes. This final list was circulated to the stakeholder team for review to ensure that our edits reflected their proposed additions. We solicited participation from a group of 40 stakeholders, including clinical experts and researchers in the prevention of sudden cardiac death and ICD therapy, representatives from federal and non-governmental funding agencies, representatives from relevant professional societies, health care decision-makers and policymakers, and representatives from related consumer and patient advocacy groups (Table 1). Within each of these categories, we sought to identify a person who was either familiar with the clinical area and its current uncertainties or who brought a specific methodological expertise to the stakeholder panel. We solicited and received stakeholder input at various points in the process through email detailing the process and outlining existing evidence gaps, and a Web-based survey to obtain priority ranking of topics. The ACC strives to achieve its enduring purpose: to improve cardiovascular health through education, research, quality care and health policy. The members of the College will dramatically reduce the incidence, severity and complications of cardiovascular disease as we promote prevention, reduce disparities in health care, and improve personal and population-based cardiovascular health. The American Heart Association is the nation’s oldest, largest voluntary organization devoted to fighting cardiovascular diseases and stroke. Founded by six cardiologists in 1924, the AHA now includes more than 22.5 million volunteers and supporters, and funds innovative research, fights for stronger public health policies and provides lifesaving tools and information to save and improve lives. The American Geriatrics Society (AGS) is a not-for-profit organization of over 6,000 health professionals devoted to improving the health, independence and quality of life of all older people. The Society provides leadership to health care professionals, policymakers and the public by implementing and advocating for programs in patient care, research, professional and public education, and public policy. Company that is a leading innovator of medical solutions that improve the health of patients around the world. Products and technologies are used to diagnose or treat a wide range of medical conditions, including heart, digestive, pulmonary, vascular, urological, women’s health, and chronic pain conditions. Medtronic is the world’s largest medical technology company, offering innovative therapies to fulfill their mission of alleviating pain, restoring health, and extending life. Their medical therapies treat cardiac and vascular diseases, diabetes, and neurological and musculoskeletal conditions. The ICD RegistryTM establishes a national standard for understanding treatment patterns, clinical outcomes, device safety, and the overall quality of care provided to implantable cardioverter defibrillator (ICD) patients. As the CMS-mandated registry for hospitals that perform ICD implantation procedures, the ICD Registry plays an important role in determining the association between evidence-based treatment strategies and clinical outcomes. Eighty percent of participating hospitals value the registry beyond the CMS mandate—capturing all ICD implantations regardless of payer or indication. To represent research priorities and issues from the patient’s perspective. Company with mission to transform the treatment of expensive epidemic diseases, including atrial fibrillation, heart failure, stroke, coronary artery disease, congenital heart defects, Parkinson’s disease and chronic pain. St. Jude Medical provides innovative solutions that reduce the economic burden of costly diseases on health care systems worldwide and provide improved outcomes for patients. The Sudden Cardiac Arrest Association (SCAA) is an organization singularly focused on sudden cardiac arrest. SCAA identifies and unites survivors and those at risk of sudden cardiac arrest, as well as others who are interested in being advocates on SCAA issues in their communities and beyond. Their membership is dedicated to promoting solutions to prevent sudden cardiac death, including increased awareness, immediate bystander action, public access to defibrillation (PAD), cardiovascular disease prevention, and access to preventative therapies. The Sudden Cardiac Arrest Thought Leadership Alliance (SCATLA) was formed to improve the quality of care around sudden cardiac arrest (SCA) and to share and develop educational tools for patients and health care providers. After the identified research priorities had been expanded, stakeholders were invited to rank the revised future research needs online. The survey used a forced-ranking prioritization method described by the AHRQ EPC’s Future Research Needs projects,13 whereby participants were given 17 votes that could be allocated to any identified research priorities, with a maximum of three votes per item. The stakeholders were not given specific prioritization criteria to use, but rather were told to determine, on the basis of their perspectives, the most important unanswered research questions on the use of ICD therapy in older patients. We also asked stakeholders to self-report their perspective, understanding that an individual stakeholder could represent more than one perspective. Possible perspectives included patients and the public, providers, purchasers, payers, policymakers, product makers, and principal investigators. Only priorities in the top tier that were ranked as top priority by at least one-third of stakeholders (i.e., by at least six stakeholders) moved on to the final stage of horizon scan (n = 12). We performed only one ranking of the topics. Stakeholders were informed of the final ranking of future research priorities. All topics and their rankings were presented to PCORI for consideration, with top-tier topics including horizon scan evidence. We performed two database searches to identify recently published and ongoing studies relevant to the top-tier future research questions as indicated by stakeholder prioritization. We searched PubMed to identify relevant literature published during the past 5 years and ClinicalTrials.gov for ongoing and recently completed studies. For the ClinicalTrials.gov search, we used the keywords “ICD” OR (“defibrillator” AND “implantable”) and focused on senior populations and Phase 3 or 4 studies. Appendix A (available online) provides the exact search strategy used for PubMed. Members of the ESG team reviewed the titles and abstracts identified by searching PubMed for applicability. Articles were included if they met all of the following criteria: presented original data or secondary analysis of data from an RCT, prospective or retrospective observational study, or relevant modeling study; included data related to ICD use and the prevention of sudden cardiac death; potentially included data on patients aged 65 and older; and had a stated objective that could be categorized according to our identified list of research priorities. For the ClinicalTrials.gov search, a member of the ESG team reviewed all study abstracts identified by the search and coded them as potentially relevant to one or more of the identified research priorities. We then abstracted study type (such as observational or RCT), recruitment status, and sample size. This work was funded by PCORI, who stipulated the topic for prioritization but did not participate in the literature search, determination of study eligibility criteria, data analysis or interpretation, or preparation or approval of the manuscript for publication. PCORI reviewed a draft version of the manuscript. Table 2 (e-only) shows the 48 final potential research topics and stakeholder rankings. Eighteen stakeholders completed the prioritization exercise. We also indicate in Table 2 the number of stakeholders who voted for each specific research topic and the diverse perspectives represented by these votes. Across the 18 stakeholders, five self-identified as patients, 13 as providers, four as policymakers, two as product makers, and eight as principal investigators. No stakeholders self-identified as purchasers or payers. 2. What are the predictors of SCD vs. those of non-SCD in older primary prevention ICD patients, i.e., at what level of competing (non-SCD) mortality risk are ICDs no longer effective in reducing all-cause mortality? 7. What are effective methods to reduce health care disparities in the use of primary (or secondary) prevention ICDs in older patients? 12. What is the distribution of modes of death in older patients who are eligible for a primary (or secondary) prevention ICD? 14. What is the comparative safety and effectiveness of remote monitoring of ICD devices versus standard clinic visits for older patients seen in clinical practice? 15. What is the comparative effectiveness of available methods to enhance communication about ICD deactivation as an ongoing process that starts prior to implant and continues over time as patients’ health status and goals of care change? 22. What is the additional value of novel markers (like genetic markers, MRI findings, and biomarkers) to predictive models that utilize clinical and mostly conventional risk factors for the prediction of SCD in older patients? 28. What is the comparative safety and effectiveness of strategies to minimize short- and long-term complications of ICDs in older patients receiving these devices? 36. How do the outcomes of “optimal programming of ICDs” as demonstrated by recent randomized clinical trials in older patients seen in clinical practice compare to those observed in those clinical trials? 37. What is the comparative safety and effectiveness of optimally programmed single-chamber ICDs as compared to optimally programmed dual-chamber ICDs in older patients? 40. How can the appropriate utilization of primary prevention ICDs in older patients seen in clinical practice be enhanced? The top 12 future research needs prioritized by stakeholders were related to the safety and effectiveness of ICDs in older patient subgroups not well represented in clinical trials, predictors of SCD, the impact of ICD use on quality of life, the use of shared decision-making, disparities in ICD referrals, risk stratification strategies, patient preferences, effect of ICD use on geriatric outcomes, and distribution of modes of death in older patients. Of note, 5 of the top 12 evidence gaps were topics suggested by the stakeholder group, only two topics (both suggested by stakeholders) received no votes. and of the 15 lowest-tier topics, 11 were suggested by stakeholders, perhaps indicating that these topics were of interest to an individual stakeholder but not the broader group. The top-tier topics in general had support from all included perspectives. The horizon scan demonstrated a high-level match between overall stakeholder priorities and recent or ongoing research. Seven of the prioritized research needs had more than a dozen recent or ongoing studies. The prioritized areas with the greatest number identified potential studies of interest included the prediction of SCD (n = 47), potential risk stratification strategies (n = 31), impact of ICD use on survival and quality of life (n = 29), and the safety and effectiveness of ICDs in subgroups not well represented in clinical trials (n = 27). Our PubMed search identified 1020 articles. Of these, 121 met our inclusion criteria, and included seven systematic reviews, 2 RCTs, 109 cohort studies, one case–control study, and two other studies. Sample size ranged from 12 to over 250,000. Only nine studies were active comparator studies; 17 studies either were placebo-controlled or used standard of care as the comparison, and 95 studies had no comparator. Only three studies were potentially applicable to the shared decision-making topic, and only two studies focused on efforts to reduce disparities in ICD referrals. Of note, our horizon scanning did not allow us to determine whether the study specifically included data on older patients although studies where the mean age of the included cohort was ≤ 60 years of age were excluded. Of the 121 included studies, only 23 explicitly focused on older patients or on age as a predictor (shaded grey in Table 2). Our search of ClinicalTrials.gov yielded 232 studies. Of these, 105 did not appear to meet eligibility based on the ICD use in elderly question (looking at intervention and population fields), and another 40 had been terminated or had withdrawn prior to study completion. Of the remaining 87 studies, 16 were open and enrolling, and 71 had been completed. We identified ten protocols as potentially relevant to the top-tier research questions. These protocols were a mix of study designs: eight RCTs and two non-randomized interventional trials. Sample size ranged from 85 to 1400 patients. Two of the prioritized research questions had no identified ongoing studies. These included determining predictors of SCD vs. non-SCD in older patients and the topic focusing on exploring modes of death in older patients at risk for SCD. The Tables in Appendix B (available online) detail key characteristics of the included PubMed and ClinicalTrials.gov articles separately for each of the top-tier future research needs. This article outlines our process for developing a prioritized research agenda for PCORI as informed by a diverse group of stakeholders. Based on a review of the existing literature and with input from various stakeholders, we developed a list of 48 potential future research topics in ICD use in older patients. The stakeholders prioritized these topics through a forced-ranking process. We then examined recently published and ongoing studies to identify research relevant to the top 12 future research priorities in order to assist PCORI in developing future targeted funding opportunities. Of the top 12 future research priorities, three topics (#2, 6 and 12 from Table 2) were directly related to risk stratification. This is not surprising, as the decision to recommend a primary prevention ICD to a given patient is currently largely based on a left ventricular ejection fraction of ≤ 35 %, the main inclusion criterion in the pivotal randomized clinical trials of primary prevention ICDs.3, 4, 5, 6, 7, 8 However, an appreciable number of patients with an ICD never receive a therapeutic benefit from it. As such, there is a need for better risk stratification tests in all patients with systolic heart failure, and especially the elderly. Because of the presence of several comorbidities in older patients, there are competing modes of death that may reduce the potential benefit from an ICD. Of note, nine previously published studies targeted topic #2 (SCD vs. non-SCD) and focused explicitly on older populations; two such studies targeted risk stratification strategies (topic #6), and nine studies in older patients explored modes of death (Appendix B, available online). None of these studies were RCTs, and instead were cohort studies, normally with no comparator. Two topics (#5 and 7 from Table 2) of the top 12 future research priorities relate to disparities. 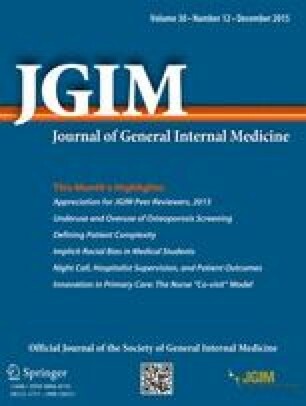 This is important, as previous papers have shown significant gender and race disparities in the Medicare patient population.14,15 In a survey of practicing cardiologists in the U.S., health care providers were not less likely to recommend an ICD to women and racial minorities, but they were less likely to recommend it to older patients.16 Although this may reflect hesitation regarding offering an ICD to patients who are frail and have several comorbidities, this has not been confirmed by that or other studies. Therefore, disparities in ICD use in older patients should be examined. Only three published studies targeting older patients focused on exploring disparities; none of the included studies targeted strategies for reducing these disparities. Additional efforts are needed to enhance the knowledge of ICD outcomes and factors that could affect outcomes in older patients seen in clinical practice, and to improve the process of decision-making. The latter is particularly important, as determinants of effective and shared decision-making in relation to ICDs have yet to be identified. Our search of the literature shows a dearth of studies (only three) currently examining this issue. These issues are covered by future research priorities 1, 3, 4, 8, 10 and 11 (Table 2). Future research priority #10 covers an important topic, because although single- (involving the insertion of a right ventricular lead only) and dual-chamber ICDs (involving the insertion of a right atrial and a right ventricular lead) have long been on the market, there is still uncertainty as to whether a dual-chamber ICD is superior to a single-chamber device. This is an important question, as the type of device could affect important patient outcomes. While several studies have compared outcomes between single-chamber and dual-chamber ICDs, these investigations had major limitations, yielded conflicting results, and predated the evidence on optimal programming of ICDs.17, 18, 19, 20, 21, 22, 23, 24, 25, 26, 27, 28, 29, 30, 31, 32 Today’s health care providers and patients, therefore, often struggle in making the critical decision of what device type to choose, and professional societies and policymakers are incapable of developing evidence-based recommendations and coverage decisions.8,33 These issues are further compounded by the advent of subcutaneous ICDs, whose outcomes, especially in the elderly, are uncertain. Indeed, the mean age of patients enrolled in studies of subcutaneous ICDs was only 54 years.34,35 Because older patients are more likely to require pacing that cannot be provided by subcutaneous ICDs, these devices may not be appropriate for older patients. None of the published studies focusing on different device types have explicitly targeted elderly patients. Our prioritization process was not without limitations. Although we took efforts to be comprehensive, it is possible that the list of future research needs we generated and expanded with stakeholder feedback does not reflect the full range of future research possibilities. In addition, we engaged a relatively small number of stakeholders, and it is possible that another group of stakeholders might rank the identified future research needs differently. Still, we included a diverse stakeholder panel with a range of expertise in determining these priorities, with a particular focus on patient-centered research. Also, because a comprehensive systematic review has not been conducted for many of the identified evidence gaps, we cannot determine with certainty the degree to which prioritized future research needs have already been addressed. Finally, within the scope of this project, and given PCORI’s needs, we did not explore the potential study design considerations for the prioritized topics. Such exploration is important in order to consider the feasibility and validity of available study designs and to highlight the design with the least risk of bias but with the greatest likelihood of completion. ICDs are currently the most effective treatment for patients at risk for SCD. The optimal and most effective use of these life-saving devices in the older population, however, is uncertain. A workgroup of 27 stakeholders representing a host of diverse perspectives identified 12 research areas with the highest priority for future research for patient-centered use of ICDs in older populations, which, if studied, have the potential to resolve some of the uncertainty surrounding the prevention of SCD. The authors thank Megan M. Chobot, M.S.L.S., for project coordination and help with the literature search and retrieval; and Rebecca Gray, D.Phil., for editorial assistance. They also gratefully acknowledge the contributions of members of the stakeholder panel (Anne Curtis, M.D. ; Gregg Fonarow, M.D. ; Adrian Hernandez, M.D., M.H.S. ; Susan Campbell, M.P.H. ; Mark Carlson, M.D., M.A. ; Laura Blum; Kenneth Stein, M.D. ; Andra Thomas; Sam Sears, Ph.D.; Michael Mirro, M.D. ; Dan Schaber, Pharm.D. ; David Hayes, M.D. ; Paul Dorian, M.D. ; Riccardo Cappato, M.D. ; Alan Kadish, M.D. ; Peter Kudenchuk, M.D. ; Jodie Hurwitz, M.D. ; Dan Matlock, M.D., M.P.H. ; Mary Tappe; Cathleen Colon-Emeric, M.D., M.H.S. ; Heather Whitson, M.D., M.H.S. ; Elise Berliner, Ph.D.; Frederick Masoudi, M.D., M.S.P.H. ; Clyde Yancy, M.D., M.Sc. ; Fred Kusumoto, M.D.). This work was funded by PCORI, who stipulated the topic for prioritization but did not participate in the literature search, determination of study eligibility criteria, data analysis or interpretation, or preparation or approval of the manuscript for publication. PCORI reviewed a draft version of the manuscript and provided suggestions for clarifying language describing the process of selecting this topic for prioritization. This work was presented to the PCORI Advisory Panel on Assessment of Prevention, Diagnosis, and Treatment Options on January 13, 2015, during a public session.